The USAF has issued a Request for Information (FRI) as it studies the possibility of increasing the use of contractor owned, contractor operated (COCO) adversary aircraft. Air Combat Command (ACC) is conducting an analysis of Adversary Air (ADAIR) capabilities to fill a ‘significant gap’ in its training requirements. The service reportedly suffered from a shortage of adversary 3,000 sorties at Nellis AFB, Nevada, during 2016 and that number is expected to rise as F-35 training ramps up. The USAF currently only operates two aggressor squadrons; the 18th AGRS at Eielson AFB, Alaska, and the 64th AGRS at Nellis. The 65th AGRS, that flew F-15C/Ds, disbanded in 2014. 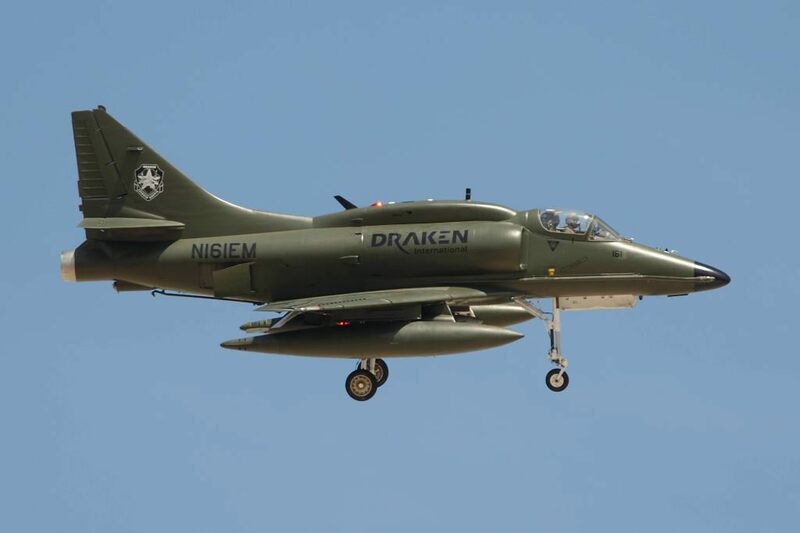 Draken International and Discovery Air Defence Services are both offering contractor air services, along with Textron, which has recently purchased the former ATAC (Airborne Tactical Advantage Co). The service first evaluated the use of commercial ‘Red Air’ when it awarded a one-year contract to Draken International last September. During the ‘proof-of-concept’ evaluation Draken’s radar-equipped Skyhawks have been flying sorties from Nellis in support of the USAF Weapons School and the F-35 Joint Operational Test Team. The latest RFI is seeking information regarding supersonic aircraft that are equipped with radar and limited sensor and datalink capabilities — it points to more F-16s. Draken International’s impressive arsenal of aircraft makes it the largest private operator of tactical aircraft in the world. The company was founded as recently as 2011 when it evolved from the Black Diamond Jet Team, an airshow performer owned by entrepreneur Jared Isaacman. The company owns a fleet of aircraft including 11 A-4 Skyhawks, nine Aermacchi MB339CBs, 27 MiG-21s, and 21 L-159s. An important step in building the company was the acquisition of eight A-4Ks from New Zealand in 2012. This comprises nearly the full fleet of Royal New Zealand Air Force Skyhawks that became surplus after the type’s retirement in that country. Extra Skyhawks were added to the fleet in 2014 when Draken purchased six A-4Ns that were formerly flown by BEA Systems at Wittmund, Germany. 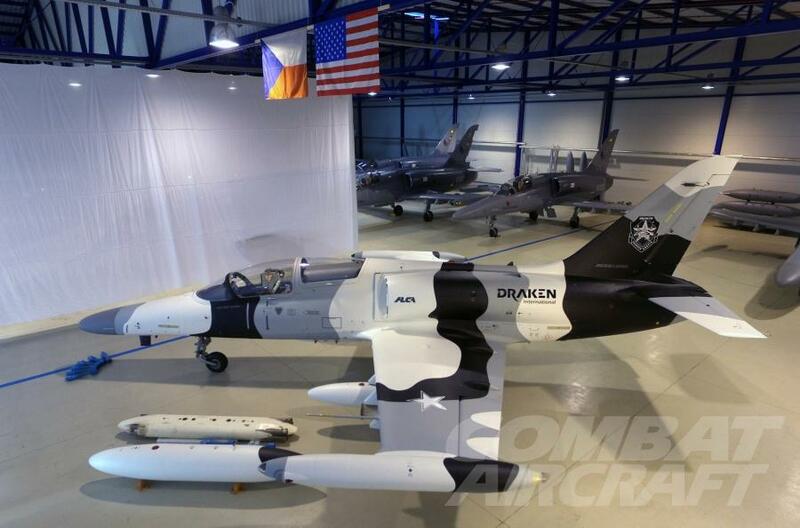 Currently the L-159, acquired from the Czech Republic, is entering the Draken fleet. As reported in our December 2015 issue: ‘We specifically purchased jets that are rich in modern capabilities. In the case of our A-4K Skyhawks, they are equipped with the AN/APG-66 radar, AN/ALR-66 radar warning receiver, countermeasures, electronic attack pods, head-up display, hands on throttle and stick (HOTAS) controls, MFD and a 1553 databus. For all purposes, our A-4Ks are outfitted similarly to an F-16A but at dramatically lower operating costs’, explained Isaacman, who is licensed to fly most of the types in his inventory. But it’s not just the impressive fleet that makes it a unique company. The pilot roster is equal impressive and includes top names in the industry, like Lt Col Jerry ‘Jive’ Kerby (ret.) and CAPT Dale ‘Snort’ Snodgrass (ret. ), both of whom were in from the beginning and were part of the Black Diamond Jet Team. Both are now in a team full of experienced aviators with backgrounds ranging from weapons school graduates, TOPGUN graduates, to those with a history flying in aggressor squadrons. The experience of the pilots is key when it comes to the type of missions the company offers to its clients. Next to Red Air support, similar to the work of aggressor squadrons, Draken also delivers air-to-ground, fleet missile defense support, and aerial refueling via a ‘buddy-buddy system’ on the A-4s. The purchase of the light but capable L-159 is an interesting move. While a rival company is considering buying ex-Israeli F-16s, Draken continues to offer a cheaper solution with aircraft that it says offer similar fourth-generation capabilities. When asked why Isaacman isn’t aiming for the ‘Viper’ he explains: ‘We are very familiar with these aircraft [Israeli F-16s] and have inspected them several times. Most of our pilots have a lot of experience and admiration for the F-16. It is a great fighter aircraft. That being said, there are many reasons why an F-16 is a terrible platform for the commercial air services industry. Primarily, our industry only exists based on cost savings. That is why militaries from around the world want our service. Globally, the government budgets are shrinking and it doesn’t always make sense for F-16s, F-15s, Eurofighters, etc to train against each other. The future for contracted air services seems very positive while governments continue to invest in next-generation hardware while still axing training assets like the 65th Aggressor Squadron, inactivated at Nellis in 2014. ‘The future is definitely very bright. This has been our most demanding year in terms of flight hours and contracts served. In August, we were generating sorties from five different operating locations at the same time. That includes locations in Europe. So we already have expanded heavily in the US and internationally. We are continuing to procure additional aircraft that provide tactically relevant training while still achieving our primary mission of cost savings. It has been an unbelievable year and we do not anticipate things slowing down anytime soon’, Isaacman adds. For a civilian company to operate an ex-military fighter complete with ejection seats and external hardpoints requires a great deal of regulation and planning. Canadian contractor Discovery Air Defence Services knows this story well. Canada was one of the first NATO countries to use civilian contracts as a solution to tight defense budgets, but it was no easy ride. It began by using a number of US and Canadian companies, but it was becoming clear that the military’s demand was greater than the initial contractors could provide. Furthermore, the US companies were unintentionally operating without Air Operators’ Certificates, so had no right to conduct commercial activities in Canada. The flag was raised that they were operating under the ‘lighter-touch’ Experimental category, US FAA Part 91, but while this opens doors in the US, this wasn’t enough for Canada. A study of Canadian rules revealed that, although the Minister of Transport has responsibility, if the matter relates to defense then it falls under the Minister of National Defence or Chief of the Defence Staff, so the military had to take a second look at how US companies were operating in Canadian airspace on defense business. Transport Canada then washed its hands of it as it was rightly decreed a military matter, but the ‘commercial service’ angle was a sticking point and a regulatory headache. After a mountain of paperwork, the resultant Memorandum of Understanding was unprecedented and, to a large extent, it’s what sets Discovery Air Defence apart today. Formerly known as Top Aces, the company was awarded the newly drawn contract in 2005 to provide the Canadian Forces with aggressor training. Now operating as Discovery Air Defence (DA Defence), it acquired its A-4N Skyhawks through the takeover of Advanced Training Systems International (ATSI) of Mesa, Arizona, in December 2013. These ex-Israeli Air Force jets joined a fleet of ex-Luftwaffe Alpha Jets in the training arena, and highlighted the company’s ambition to make a footprint into Europe. Alongside the acquisition of the A-4s, DA Defence recognized that the aggressor-based air support to defense operational training (ASDOT) market was working well within North America, yet Europe had not really caught up with the benefits that it can bring. This is especially true in light of so many cutbacks and fewer fighters, yet such training is still being undertaken in-house using costly front-line fighters, and eating into precious spares and fatigue lives. While DA Defence continues its work in Germany under the gaze of other European nations, its strategic approach means it is also looking to the future. It claims that its current fleet is able to provide flight profiles and dynamics as well as utilize added systems to replicate 70-80 per cent of modern fighter characteristics. But, with the advent of the F-35, military training will have to step up yet another gear, and DA Defence is ready. It is set to acquire F-16 Fighting Falcons from an undisclosed source with the knowledge of the benefits such a platform would bring fourth- and fifth-generation fighter pilot training. It is understood to be aiming for four single-seat Block 10 F-16A models and two F-16B models, with plans for 10 in total, with the jets in question being described as having a ‘decent, low level of flying hours’. The potential fleet of ‘Vipers’ will be offered as aggressor trainers for NATO allies, as a capable threat at a fraction of the cost. While remaining guarded about what those future contracts could be, Garrick did, however, explain that DA Defence is looking to fulfill the next Canadian contract with what he called ‘a very high-quality product’. The Canadian deal is subject to an RfP published at the end of July 2015 for the next round of provision, and its wording includes a requirement for a more capable, radar-equipped aircraft over the next 15 years, with an eye on F-35 training requirements. With up to 40 F-35s due to form the Canadian front line in the future, questions are being asked regarding fulfilling its aggressor-training role. ‘We have to submit in January 2016 and we will be offering a very high-end solution’, said Garrick.